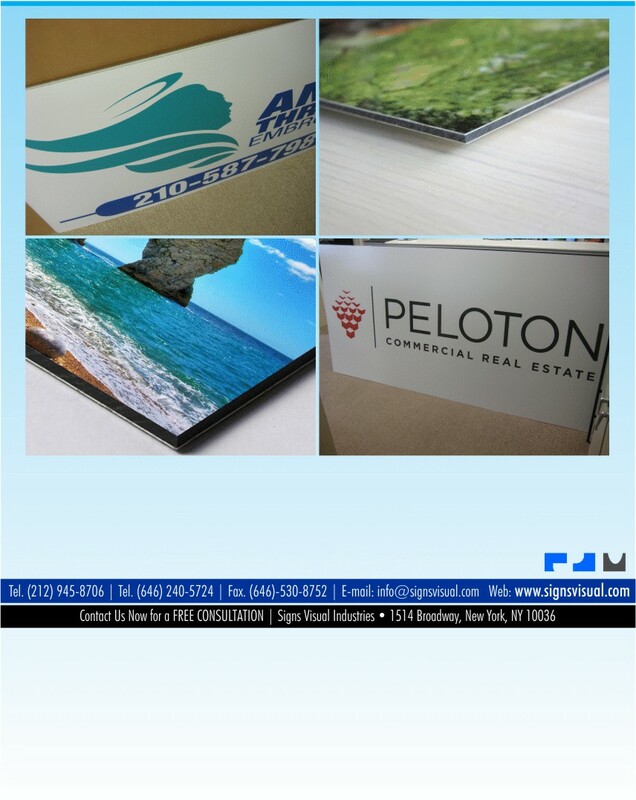 Signs Visual prints amazing looking aluminum dibond signage panels in New York City. Dibond signs are made of an aluminum composite material that feature thin aluminum faces on both front and back with a core of polystyrene structure. These signs are lightweight and cost effective than actual solid metal. Our dibond sign panels come in all types of painted colors including standard white along with brushed silver and brushed gold finishes. Call us today for a quote on your next metal dibond sign order in NY!